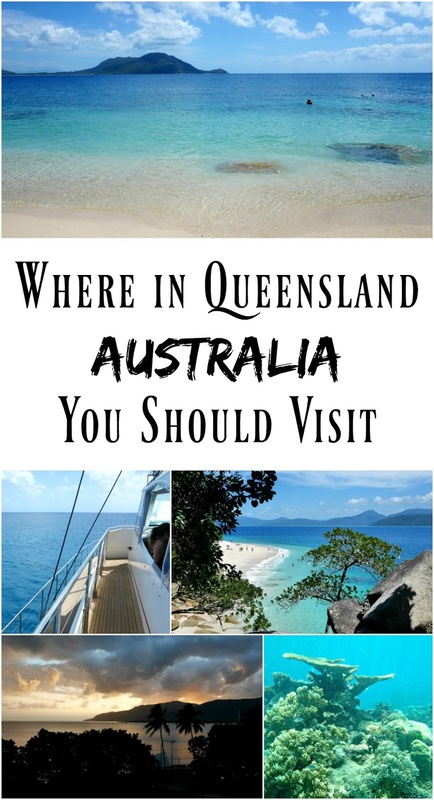 Most of Australia is suitable to visit any time of year, but Queensland and the Northern part of Australia is a little different due to the tropical climate. It was only when I started working with in the Australian travel industry and visited Queensland for the first time last year, that I realised just how small the window is for visiting the state if you're wanting to visit to swim on the Great Barrier Reef. So after my two-week travel guide for Australia did so well, I thought I'd put together a handy little post with my tips for visiting Queensland and when in the year you should visit! This is the dry season and the season best for the aquatic activities Queensland has to offer! Because of the box deadly jellyfish and Irukandji jellyfish, it's only safe to swim in Queensland's waters without a special stinger suit for half the year (the dry season half). That doesn't mean to say you can't swim the other six months during the wet season, but you have to take extra precautions to make sure you're not stung. 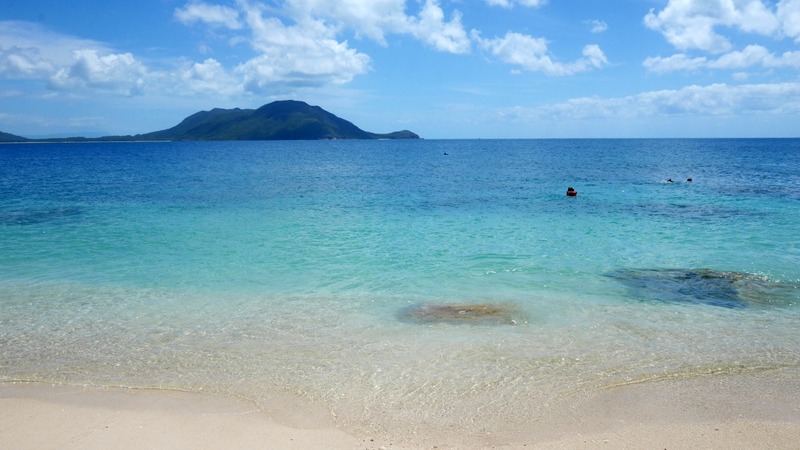 May - September is the best time to swim in the waters as they're jellyfish free! The dry season is also the season to visit if you want to see whales. The humpback whales migrate south between May - September, while the dwarf minke whales migrate between June - July. There are special tour companies that arrange whale watching tours, but for the dwarf minke whales in particular you really need to book far ahead to get a spot on the boat! This is the wet season, and the best season for the rainforest and inland activities. You can still swim and go out to the reefs, but you MUST wear a special lycra stinger suit to avoid getting stung by a deadly jellyfish. You will still be able to swim off the beaches at designated areas with jellyfish nets, and if you go out to the reef most of the time the stinger suits are provided free of charge. If you do visit during the wet season, you may get to see lots of turtles as it's nesting season and then baby hatching season as well! September - January is also the best time to see coral spawning. It would be such a shame to miss out on Queensland's best bits just because you can't visit during the dry season, so make sure you spend some time on the reef and wear a stinger suit so you still get to experience the beautiful coral and fish! The Islands are perfect for a romantic Queensland experience! Qualia on Hamilton Island is one of the most famous romantic resorts in Australia, but you don't need a large wallet to have a romantic trip. There are more budget-friendly resorts too, including Fitzroy Island and Heron Island. If a rainforest retreat is more your thing, Silky Oaks Lodge is the one you need to book! Sir David Attenborough called Queensland's Daintree Rainforest “the most extraordinary place on earth”, so add it to the top of your bucket list ASAP! Port Douglas is one of the most luxurious towns in Queensland. It's close to Daintree Rainforest, and you can get a Great Barrier Reef tour straight out from Port Douglas instead of having to drive to Cairns. Port Douglas is a really special place with a very relaxed and sophisticated vibe - a world away from the backpacker vibe of Cairns! Lizard Island is a top-class resort in the Great Barrier Reef that I have been desperate to visit ever since I moved back to Australia! It looks BEAUTIFUL, a total paradise, and ultra-luxe. What more could you want?! If you're a backpacker, or just someone in need of a good time and a day on the reef the next day, Cairns is the place to be. There's a plethora of bars, cheap restaurants, and backpackers wanting to party the night away. So you've heard of Queensland's famous party boats, right? If you haven't you have now. The party boats that sail around The Whitsundays are famous for a very good reason, and you don't have to be a backpacker to go on one! There are party boats for an older-crowd and party boats for those who prefer a little luxury, too. For a most sophisticated party animal the Gold Coast is the place to go. Swanky bars in luxury hotels, and a short walk to the beach to watch the sunrise. This is the category I probably fit into best, I love luxury, I love a party, but most of all, I love the beach and the ocean. I visited Cairns and Fitzroy Island when I went to Queensland last year because of the aquatic activities, and I loved every minute! I spent a day out on the Great Barrier Reef, and then a day on Fitzroy Island, and it was the best weekend away I've ever done in Australia! Queensland is home to hundreds of islands, so you have a whole bunch to choose from. The one on the very VERY top of my list though, is Lady Elliot Island, which is the most famous in Australia for wildlife. The island is an eco-island which I just love, and although it looks very basic and with very little luxuries, the key reason for visiting is the fact the waters around the island are teeming with marine-life, from turtles to manta rays, eagle rays, and a huge array of colourful fish! Follow their Instagram account to see just how amazing it looks! The Gold Coast beaches are really similar to the Perth beaches; beautiful, long stretches of white sand, with crystal-clear water. There isn't a reef here so leave the snorkel behind, but for a city, the beaches are absolutely stunning, meaning it's the perfect balance of city/beach if that's more your thing. Thank you so much to Flight Centre for partnering with me on this post! As always all views and Australia-love is my own, and I've actually been using Flight Centre to book all of my flights for as long as I've been booking my own flights - and even before then my parents always used them. Check out their Queensland Calendar Guide to see what there is to do in the month that you're visiting Queensland! I visited Queensland a couple of years ago and loved Port Douglas for the reasons you described. It is very luxe, eapecially seeing the Marina! I’ll be referring to this guide if I am lucky enough to visit again! Great read!